Lauren Argentina Zelaya joined us as a Museum Education and Public Programs Fellow in 2012, becoming a full-time staff member in 2015. 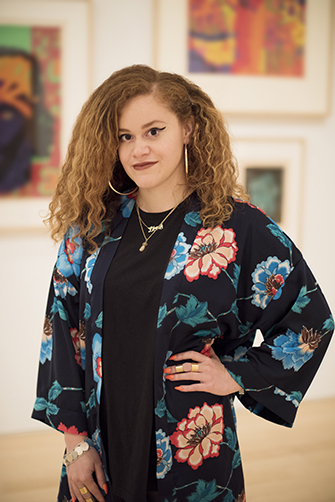 As our Assistant Curator, Public Programs, Lauren curates and produces Target First Saturdays and other free and low-cost public programs that invite more than 100,000 visitors per year to engage with our special exhibitions and collections in new and unexpected ways. As a curator, advocate, and educator, Lauren is committed to collaborating with emerging artists and honoring voices in our communities that are often marginalized, with a focus on film and performance and creating programming for and with LGBTQ+, immigrant, and Caribbean communities. Previously, she worked in education at the Queens Museum and the Museum of the Moving Image, and with emerging artists in Queens as a program coordinator with the Queens Council on the Arts. She received her B.A. in Art History and Film Studies from Smith College.